The star had been reported to be at the centre of a bidding war between concert promoters who wanted to book him for some of the capital's biggest venues. According to The Daily Mirror, promoters Live Nation had made the singer a multi-million-pound offer to play the Olympic Park in East London next summer and AEG were said to be interested in getting him to perform in Hyde Park. But his rep told NME: "There are currently no plans for any live dates." Glastonbury organiser Michael Eavis had recently hinted to the Central Somerset Gazette that Bowie could play the festival next year for the third time. He said of 2014's headline act: "I can't tell you at the moment who that will be as we're still talking to people. David's done it a couple of times before but I'm sure he could come back again." Bowie hasn't performed latest album The Next Day live yet, but earlier in the year his wife Iman seemed to hint to Grazia he might go on tour. She said: "We have a 12-year-old in school, so we are stuck, we can't travel. Our schedule is around her, so I don't know. We'll have to go visit him, but we won't be on tour with him because she's in school." 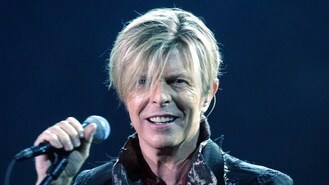 Bowie, 66, made his last live appearance in 2006. He had earlier retired from touring in 2004 after suffering a heart attack on stage in Germany.